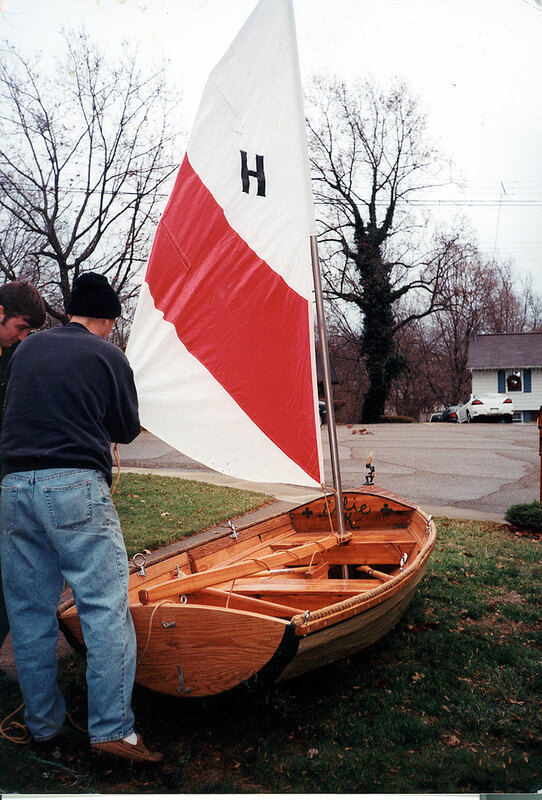 Dan Kelly of Weirton, WV, built this Joel White-designed Shellback dinghy in 2002. He modified the plans a little bit in using a titanium mast and titanium keel to keep her light. 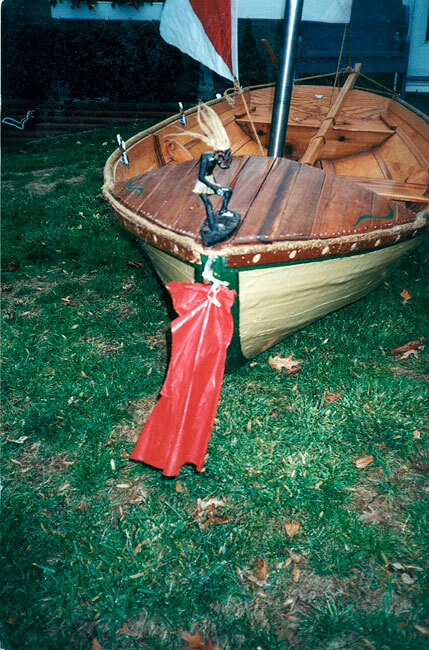 He also enclosed the area forward of the mast with cedar and filled it with foam insulation to add to her buoyancy. 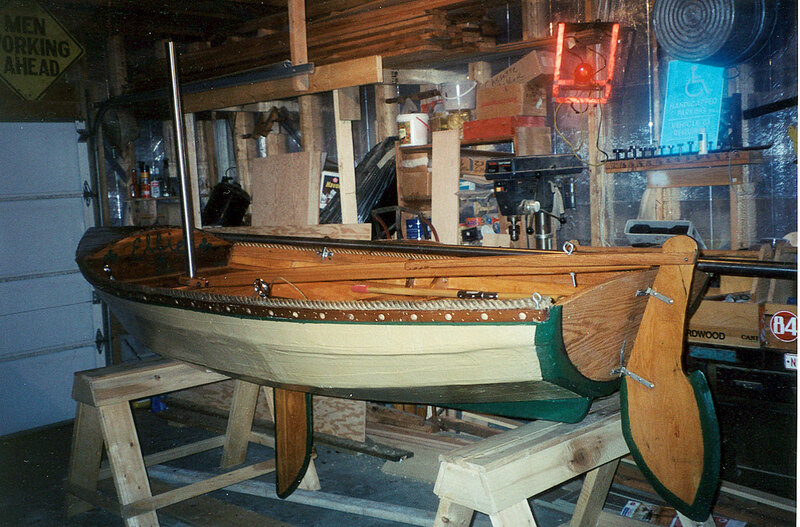 Dan adds that he has been a woodworker for 30 years but few things he has constructed have given him as much pleasure as this boat.